You get the internal control report you need to analyze your potential internal control deficiencies and weaknesses. The Vibato Internal Control Suite Dashboard helps you conduct on-demand, year-round monitoring to ensure your internal control objectives are being met. Save time. 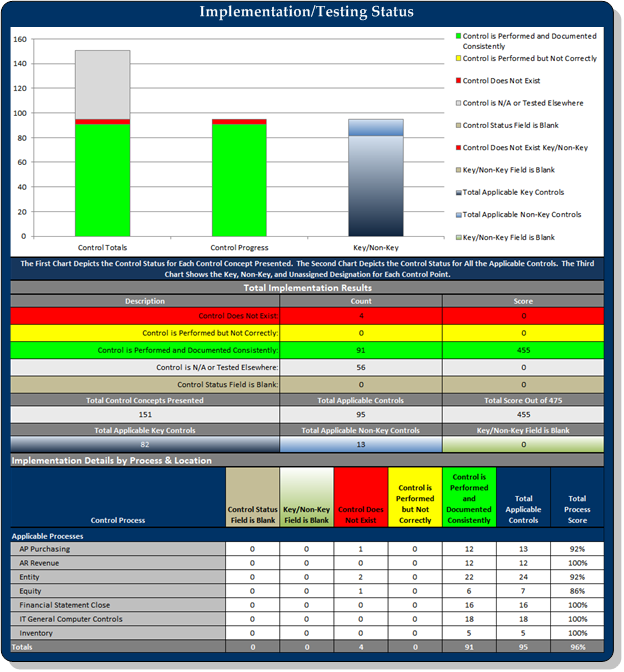 Quickly and easily see how you are meeting your internal control objectives. Get information quickly for 10Q and 10K reporting efforts. Save money. Prevent costly audit surprises - like significant deficiencies or material weaknesses - by monitoring internal controls year-round and quickly addressing internal controls failures. Improve audit management efforts. Simplify audit preparation efforts and costs by providing auditors with the reports they need, in the format they prefer. Improve risk management efforts. Keep audit committee and executives informed about compliance and audit status.